Smoke Signal, our Robust Smoked Porter, claimed a gold medal in the 2014 World Beer Cup ®, a global beer competition that evaluates beers from around the world and recognizes the most outstanding brewers and their beers. Often dubbed “The Beer Olympics,” this is the largest international beer competition in the world and this year had more entries than ever before. 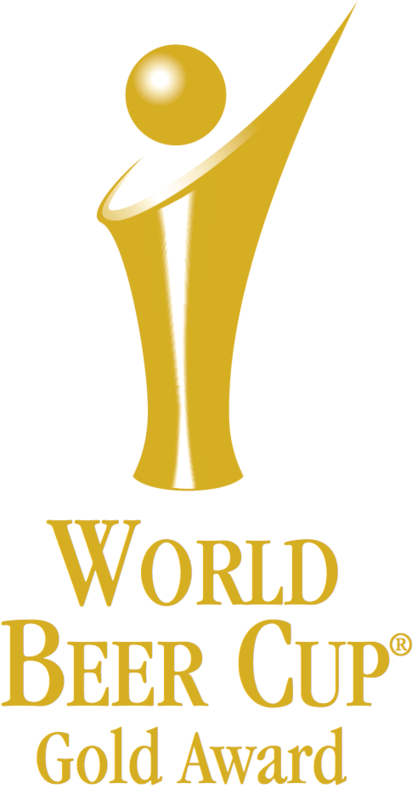 This year, World Beer Cup® winners were selected by an international panel of 219 beer judges from 31 countries and saw an impressive field of 4,754 entries from 1,403 breweries in 58 countries. Gold, silver and bronze awards in the competition’s 94 beer style categories were presented April 11, 2014 during the World Beer Cup award ceremony at the Hyatt Regency in Denver, Colorado. We were there. It was intense. Being in a room with some of the best brewers and breweries in the entire world and taking home a gold medal was flattering.